Most writers hate the word commitment because it usually has negative overtones. To be committed is to dutifully complete a project or to create an obligation to write a certain amount every day. So, commitment always requires something from writers. Is there any way of viewing commitment in a much more positive light so that writers don’t panic at the very thought of commitment? Commitment in itself doesn’t have negative overtones. Writers have to reframe what it means to be committed to their writing projects. Without commitments, it can be difficult for writers to actually complete writing projects on time. And many times if writers work with publishers and editors, they will have to make many time commitments to complete projects. That is all a part of the writing life and being a professional writer. There are ways of viewing commitment in a positive light. Here are a few such ways. Many times, writers tend to find it hard to schedule writing projects. However, if a writer commits to the project, she will create a writing schedule to complete the project in a timely fashion. And this will boast the writer’s self-confidence, productivity and success quotient. So many writers have a difficult time completing writing projects. They start off being on fire and motivated but as time goes on their motivation dwindles and the drive to complete projects is curtailed if not ruined altogether. Many times, this is because other things and life intervenes. But most times it is because our motivations tend to fluctuate. Commitments can solidify a writer’s motivations and make them firmer. So many things come across a writer’s desk in a given week. If a writer doesn’t make commitments to certain writing projects, she will probably take on projects and assignments that will take her any closer to completing her own main writing projects. Commitments can change that by ensuring that the writer does first things first at all times. Given all the benefits of creating commitments, writers can’t afford not to commit to writing projects. After they have committed to them, they will be able to take steps to complete their most important projects and be successful. This will create self-confidence and ensure that the writer can start the next project and complete it too after this particular project is complete. So, writers should reframe how they view commitments. Instead of being something negative, commitment can be positive and ensure that the writer will be most successful. And once a writer completes one project that she committed to, she will be able to commit to others as well. 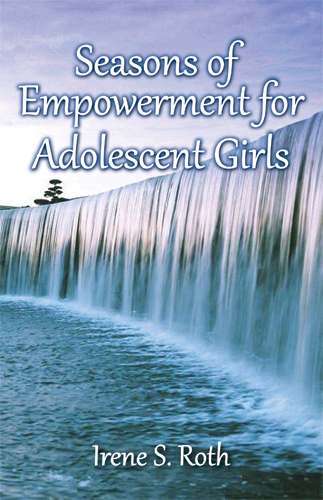 Irene writes for teens, tweens, and kids about self-empowerment. She currently has two empowerment books published, one for tweens and one for kids. She also leads workshops on the craft of writing through Savvy Authors. Writing for Children – Which Came First, the Chicken or the Egg? The Dossier – Who is the Character? P.S. If you haven't yet, please sign up for The Writing World newsletter (top right sidebar). You'll get weekly writing and marketing tips! Yes, well said. Many people say we should treat our writing career as a full-time job. It's hard to do sometimes with everything that happens in our lives, but it's good advice. Thank you Irene. I completely agree with your sentiments. If I want to get something done, I NEED to commit to it. Otherwise *life* crowds it out and I don't get it finished. Irene, this is great advice. With all that we writers need to do, life, family, and marketing, if we don't commit to writing, it just won't get done.